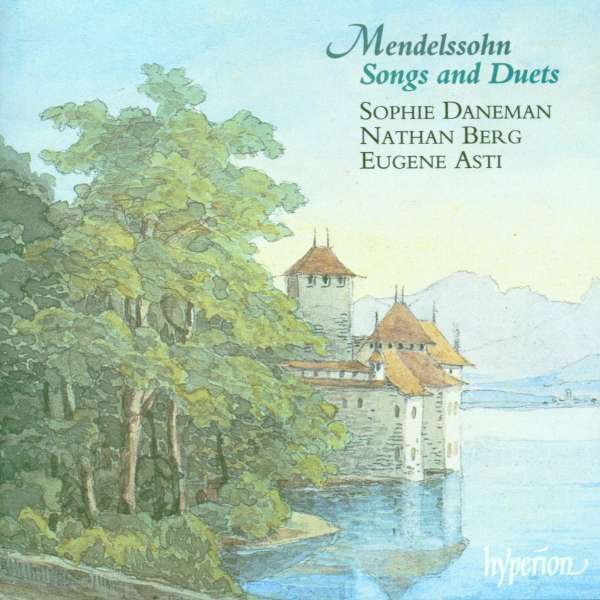 Der Artikel Felix Mendelssohn Bartholdy (1809-1847): Lieder Vol.1 wurde in den Warenkorb gelegt. 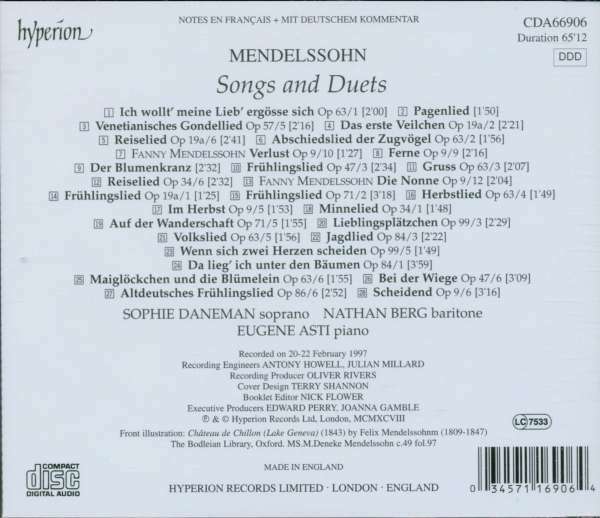 The latest research indicates that at least one hundred-and-six lieder, thirteen vocal duets and sixty part-songs by Mendelssohn have survived. Yet even during an age characterized by an apparently insatiable desire for the musically obscure and neglected, these impeccably crafted microcosms are rarely encountered in the concert hall where Schubert, Schumann, Brahms and Wolf (even Liszt by musical association) continue to form the backbone of the Austro-German Romantic lieder tradition. 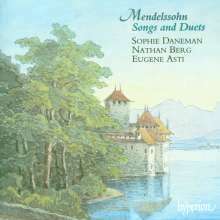 The main reason for this neglect is Mendelssohn's comparatively narrow emotional range. Whereas the aforementioned composers all fearlessly probed the dark side of the human psyche, for the peaceable, broadly contented and self-contained Mendelssohn such concerns simply lay outside his experience. Equally, his songs were above all intended to be sung and enjoyed around the piano at home rather than subjected to public scrutiny. It is hardly Mendelssohn's fault that (with the notable exception of Mozart) commentators generally share an irrational tendency to upgrade the value of music in which laughter emerges only through tears rather than the other way round. Hörprobe Track 2: Pagenlied (Wenn die Sonne lieblich schiene) o. op. Pagenlied (Wenn die Sonne lieblich schiene) o. op. Hörprobe Track 9: Der Blumenkranz (An Cecilias Baum in stiller Nacht) o. op. Der Blumenkranz (An Cecilias Baum in stiller Nacht) o. op.